We take the extra steps to offer the highest quality landscape services for all of our clients, both residential and commercial. Our team consists of degreed and certified horticulturists and a licensed landscape architect with over 100 years of combined experience in the landscape industry. At Green, we focus on building and maintaining lasting relationships with our clients and we strive to keep our customers and referrals as our top priority by maintaining service excellence. Hardscape Construction: Outdoor Fireplaces, Patios, and Retaining Walls, and Drainage and Erosion Control. To inquire more about how Green Landscaping can service your home or business, contact us today! Paul Lell is a graduate of the University of Georgia with a degree in Landscape Architecture. In addition to being a licensed Landscape Architect in the State of Alabama, he also holds the Setting of Landscape Plants license for the State of Alabama. 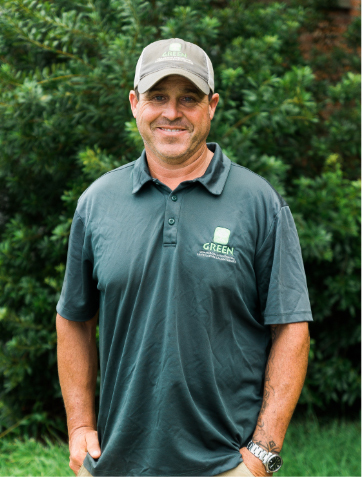 Prior to joining Green Landscaping in 2011, he was the Director of Installation for a large landscape contractor headquartered in Birmingham, AL. Paul is married with two children and on the weekends, he can be found playing golf, wakeboarding and paddle-boarding at Lake Martin, and spending time with his family. Jeremy Stagner is a graduate of Auburn University with a degree in Ornamental Horticulture and Landscape Design. 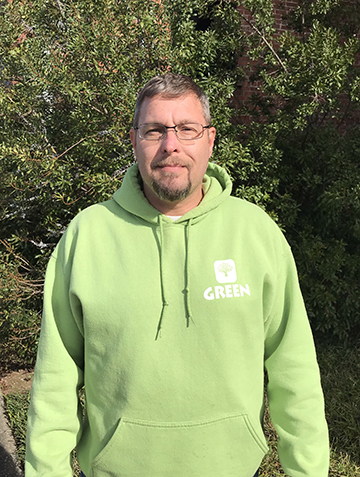 With over 15 years at Green, he is Green's first employee and manager. 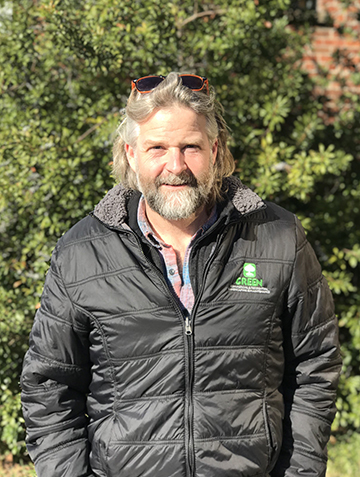 His vast experience includes residential and commercial construction management, landscape maintenance, hardscape construction, and garden management practices. Jeremy is married with two children. While away from work, he devotes time to the Kairos Prison Ministry and enjoys hunting and fishing. Page Franks attended high school at Briarwood Christian School and then attended Auburn University in the Building Science School. He has over 18 years of experience in the industry. Page has extensive knowledge and experience with specialized site work, grading, drainage and hardscape installations. His ability to understand technical construction documents streamlines communication with Architects and Builders. Cass Hansford attended high school at Briarwood Christian School and then graduated from Michigan State University in 1997 with a degree in Agronomy. He worked as an Assistant Superintendent at Peach Tree Golf Club in Atlanta and then as an Irrigation Specialist at Shoal Creek Golf Club in Birmingham, AL. 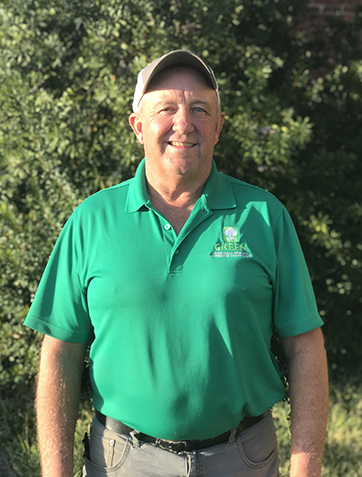 Cass’ previous experience also includes operating his own Design/Build Irrigation company as well as working on the distribution side of the business. 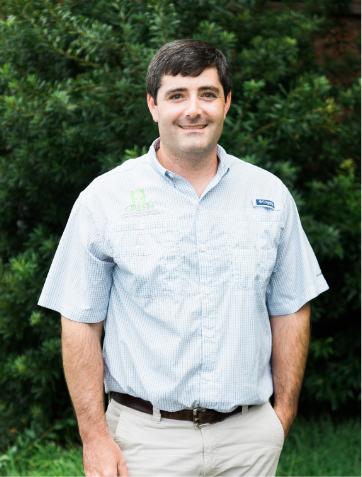 Quint Henninger is a graduate of Auburn University in Landscape Horticulture with 16 years of experience in landscaping and site management. His expertise is in commercial landscape maintenance and estate management. Quint lives in Pell City with his wife and daughter. Andrew Crawford grew up between Clay and Gadsden, AL and graduated from Westbrook Christian school in 2010. 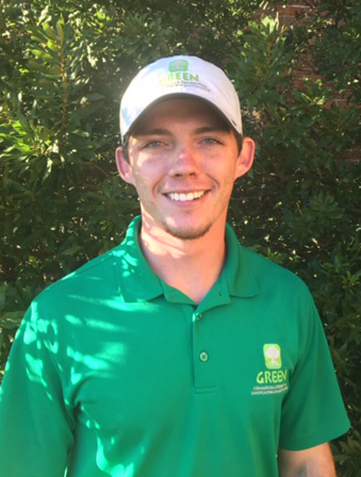 He graduated from Auburn University with a degree in horticulture in 2014 and pursued an internship with Green during his time there, leading to the beginning of his career here in 2015. He currently lives in Springville with his wife and newborn son and enjoys spending time with them outside of work. 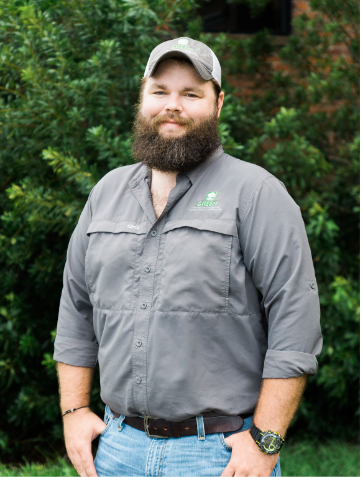 Carl Prewitt is an Alabama resident and former business owner to a landscaping company of 13 years. As a graduate of UAB, Carl operated a local Texaco for 32 years before entering the landscaping business in 2003. The husband, father, and grandfather of three enjoys spending time with family on his days off. Dalton Gargus is a graduate of Auburn University in Landscape Horticulture with a minor in Agronomy. 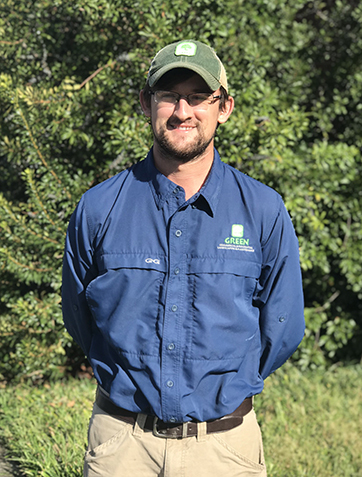 He is an aspiring new employee with 1 year of experience in landscaping and more than 2 years of experience in athletic field and turfgrass management. He is currently the on-site supervisor of Horticulture operations at the Birmingham Zoo. Dalton is also being groomed to become the next Account Manger at Green. Dalton lives in Trussville with his wife and son. Jimmy Hollis is a 1999 BA and 2003 MA graduate and former Soccer athlete of The University of Alabama Birmingham. 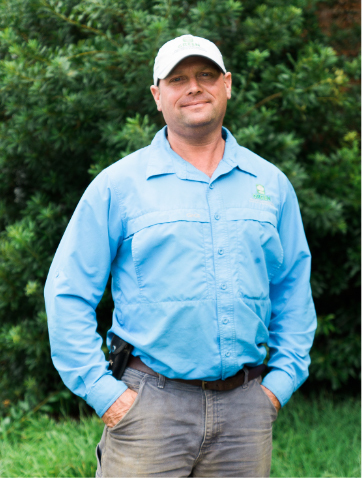 Jimmy has 7 years experience in landscape and site management. His expertise is in commercial landscape maintenance. Jimmy lives in Hoover with his wife Nancy who Teaches Math at Mountain Brook High School, and his son Reid who attends Briarwood Middle School and is a soccer and football athlete and an honor roll student.